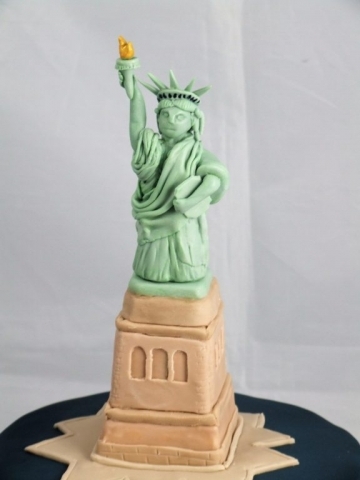 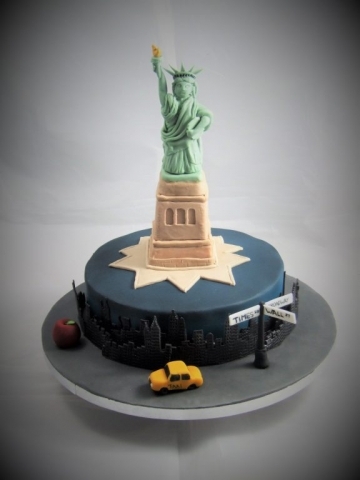 I have never had reason to particularly study the Statue of Liberty….until I got the order for this cake, and then I spent some quality tine with Google images! 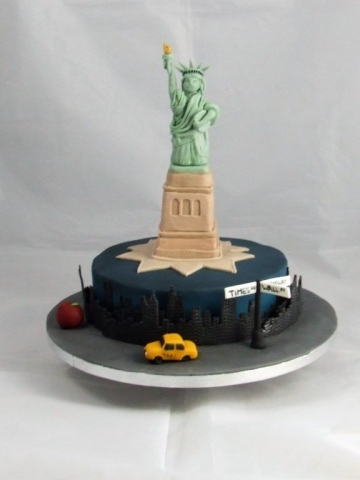 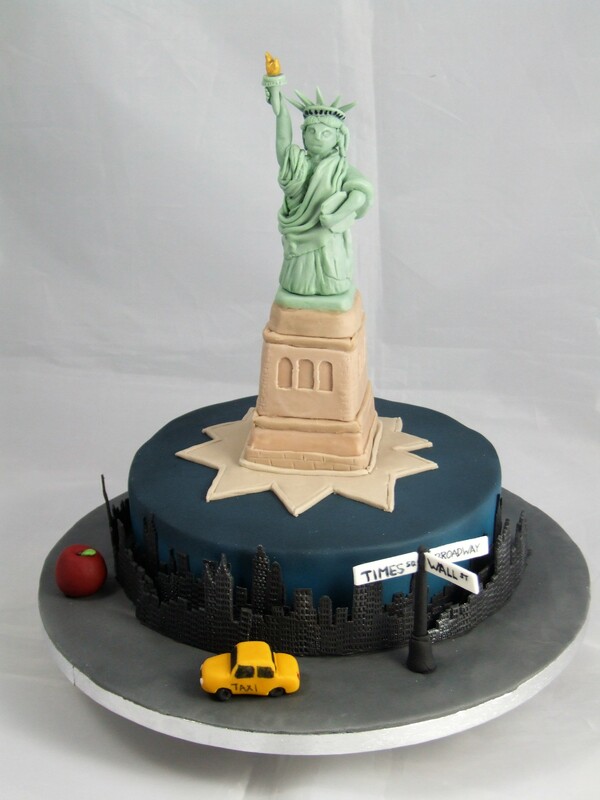 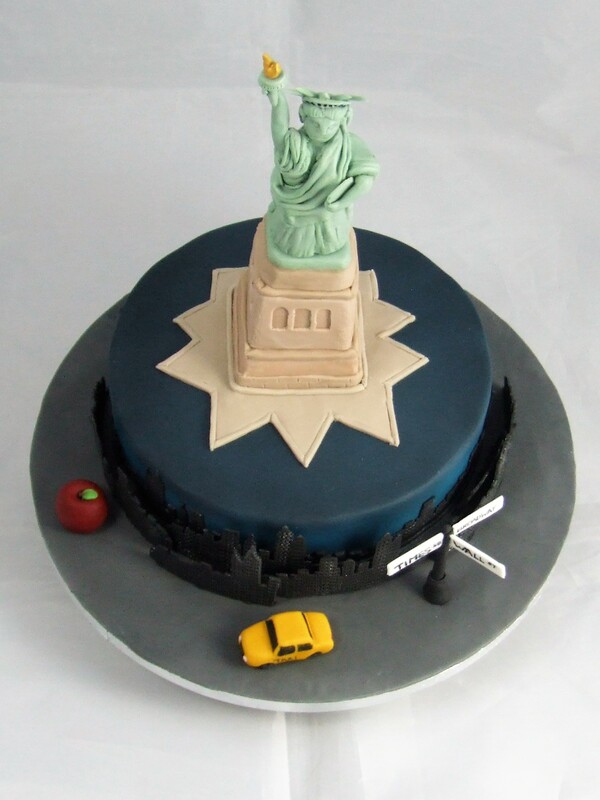 The basic cake was airbrushed, and then a cutter used to make the New York skyline. I stood the buildings away from the sides of the cake to give a feeling of depth to the cityscape. Lady Liberty herself was modelled from sugarpaste, and her plinth was made from rice krispie treats to keep the weight down. 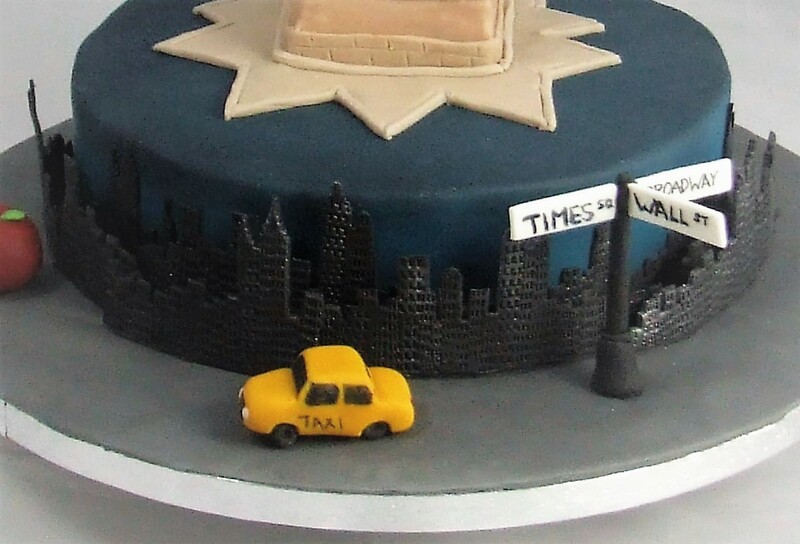 Other New York icons, such as the signposts and yellow taxi cabs were then added.